A quick recap: the unstoppable new congresswoman Alexandria Ocasio-Cortez, along with Senator Ed Markey, and significant numbers of democrats including four presidential hopefuls, have put forward a resolution on a Green New Deal. The plan? To shift the US to zero-carbon through a far-reaching package of government support for investment and jobs, aiming for a transition that is socially just as well as environmentally responsible. It’s worth reading the plan itself– it’s short and » Continue Reading. She can do this, in part, because she is powerless. » Continue Reading. The UK’s Climate Change Act sets an admirably simple, legally-binding framework for carbon reduction. The targets are clear. Yet the means to achieve them are opaque. As the government considers strengthening the UK’s targets, and moving toward net-zero greenhouse gas emissions by 2050, the IGov project has offered evidence to the Committee » Continue Reading. With the IPCC’s latest report showing the urgent need for action on climate change, attention has turned once again to that tricky issue of ‘political will’. In the words of Christiana Figueres, previously head of the UN’s climate body, there is “an acute need for speed, radical collaboration, and more visionary political leadership”. But what do the politicians themselves think? What does the deceptively simple phrase ‘political will’ mean to elected representatives, who are called on to act? This is a question I have been studying since 2014, in a collaborative research project with Lancaster University and Green Alliance. » Continue Reading. Suddenly, it seems, I’m part of the establishment. Last weekend, the Sunday Times business pages announced the “death of the power dinosaurs”, arguing that the very existence of the big energy supply companies is now in doubt. The old model, where consumers simply bought units of electricity and gas and then paid the bill, is on its way out. As the Sunday Times put it, “Centrica is the new Kodak”. Instead, there are now opportunities for people to generate their own renewable heat and power; manage demand through smart meters; trade with their neighbours; charge electric vehicles; and store » Continue Reading. It’s easy to get frustrated with politicians. We know the consequences of not acting on climate change. We know what needs to » Continue Reading. As the need to cut carbon becomes more urgent, we are seeing more attention paid to technologies offering ways to remove greenhouse gases from the atmosphere. At the risk of acronym overload, proposals include bioenergy with carbon capture and storage (BECCS) and direct air capture (DAC). Most climate modelling which predicts how the goals of the Paris Agreement can be reached now includes these technologies, as this Nature paper explains. The UK’s Research Councils have just funded a set of projects exploring the feasibility of greenhouse gas removal technologies. Sounds great – after all, we need to do » Continue Reading. My first encounter with the New Economics Foundation was over twenty years ago. A nervous new graduate, I came for an interview to be NEF’s office manager. I’d never worked in an office, or managed anything, but I had long admired NEF, so I somehow blagged my way in. I had a great chat with them about the state of the world, but unsurprisingly, they chose someone who, er, knew how to manage an office. (Incidentally, on the subject of rejection, have a look at this brilliant blog by Nick Hopwood. It would do us all good to » Continue Reading. That doesn’t mean that climate change is an easy subject for politicians. They have the tricky task of turning the scientific consensus about the need for action into a workable agenda that can win people’s support. » Continue Reading. Rebecca Willis is an independent researcher. 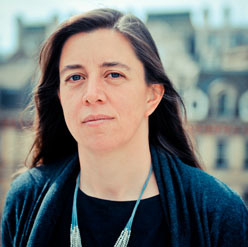 Her work focuses on environmental politics and policymaking. 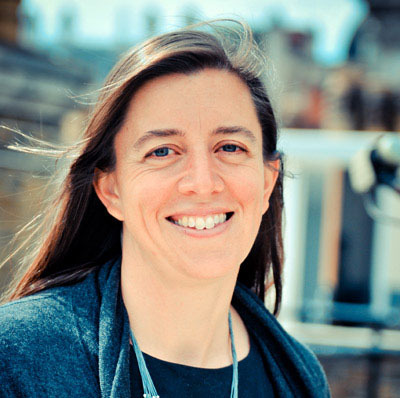 Rebecca convenes Green Alliance’s Climate Leadership Programme for MPs, and with Lancaster University, is conducting research into the politics of climate change in the UK. She is a member of the Scientific Advisory Committee for the Research Councils UK Energy Programme. From 2011-15 she was Council Member of the Natural Environment Research Council, and from 2004-11 was vice-chair of the UK Sustainable Development Commission.